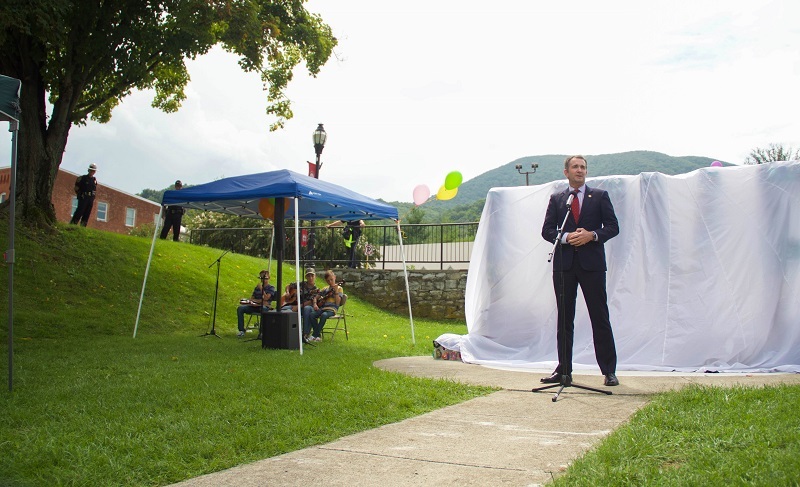 PEARISBURG—On Tuesday, August 21 Governor Ralph Northam unveiled the newest LOVEwork on Main Street in Pearisburg. The Governor was joined by Rita McClenny, president and CEO of Virginia Tourism Corporation, members of the Giles County School Board, project leaders, and Giles County students who helped to build the new LOVEwork. 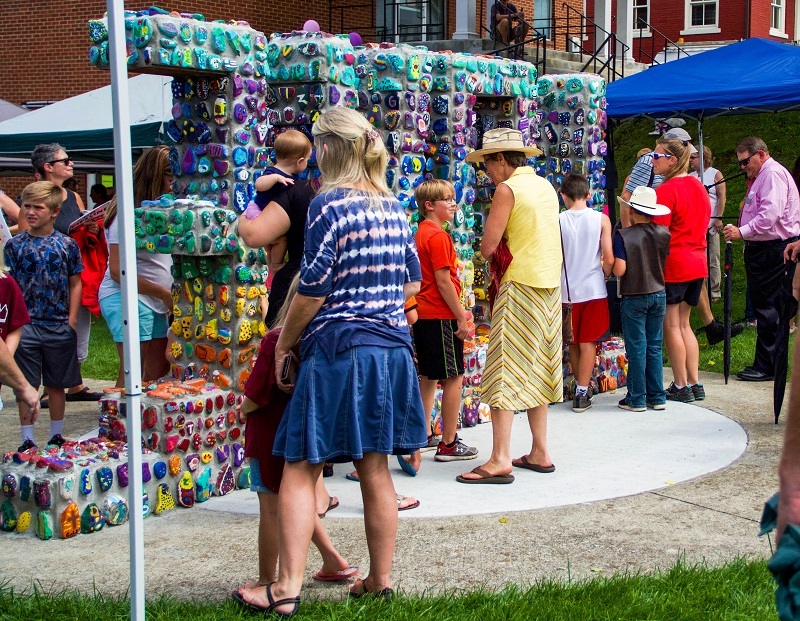 There are currently more than 100 LOVE artworks across Virginia. 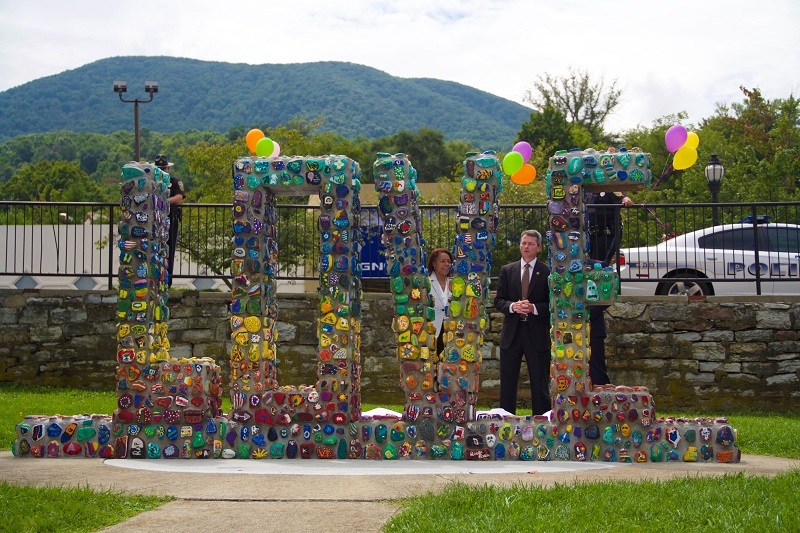 This public art installation features more than 3,500 rocks from Giles County, painted by every child in the county aged 4-12 in public, private, and home school. The project is a joint effort between Giles County Public Schools, Giles Early Education Project (GEEP), the Summer Feeding Program, county employees, volunteers, and residents. For the past year, volunteers and faculty members have been working with young people to express their creative side by painting rocks to represent who they are or what makes them special. The finished project stands approximately 6 feet high and 12 feet long, and will be located along Main Street between the Courthouse and Treasurer’s Office. 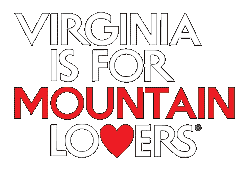 The LOVE artwork program is commissioned by Virginia Tourism Corporation, and is an extension of the “Virginia is for Lovers” brand, which will celebrate its 50th anniversary next year. The LOVE artwork, called LOVEworks, feature giant LOVE letters in towns and cities across the Commonwealth, and have become popular tourist attractions, inspiring viral posts on social media using the hashtag #LOVEVA. Tourism is an instant revenue generator for the Commonwealth. In 2017, visitors spent $25 billion, which supported 232,000 jobs and contributed $1.73 billion in state and local taxes.